Product Overview - cornelius-kapfingers Webseite! I know that most of you expect individual treatment for a purchase. Unfortunately I am a bad salesman and this is nothing where I am good in. What I try to do is to make good and nice products, which stands out of the normal range of products. This is a lot of work to do, to update the whole portfolio, to create new versions and e.g. stems with 35mm instead of 31,8 or a stem with a new length. And because I really love to do new products and I think that is where I am good in, I do not do active sales like testrides, sales meetings and I do not push customers. If you are interested to buy any product you are deeply welcome. But I hope you are not dissappointed that I do not try to convince you with phone-calls or test-rides. Some of you ask for testing products. Unfortunately I can't give this possibility. Most of you guys want to assemble my fork in your bike. You have to imagine, that I only have my own fork and I do not have a whole range of test forks with your travel spec, your steering length, your axle-diameter. And there is also one thing which is important: Time. Just imagine, you come by to build my fork in your bike. Make a test ride, come back, disassemble it and mount it back in my bike. All of this takes several hours. In your job and your work you get paid by hour. Maybe 50 euro / h, maybe 250 euro / h ? I don't want to raise the price of a fork by taking time to make single test rides with customers. I know that this sounds very rude and arrogant. But at the end of the day time is money. I will be bankrupt If I would do this. But I want to survive on the market, so as the smallest suspension manufacturer I can't play in the game with the same rules like the major brands. I deeply hope for your understanding! 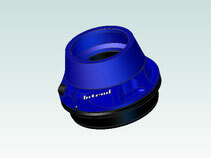 For all colored anodized parts there is a problem of consistency of the color from product to product. 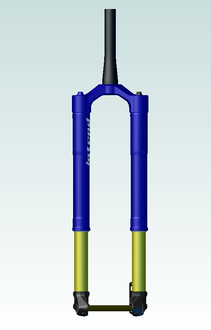 Depending on the batch and the material it can happen that an Intend stem has a different color than an Intend Stiffmaster headset. I can't match this perfect, because there are to much parameter, which I can't control. So if you order blue parts, please accept a difference in color. If you want to make sure that it will fit together: please take black or raw! "Can you do without laser-etching?" "Can I have a special fork offset taylored to my needs?" "Do you offer custom laser-etching?" "Do you offer black laser-etching?" "Is it possible to cut the steerer to my needs?" and so on. I want to explain why I can't do all that. For a customer it is one purchase. 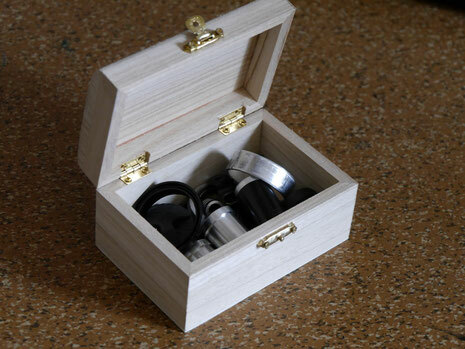 It is very easy to keep one part in mind and not to forget the specification of your order. For me there are 20 or 30 orders of one stem in one batch. Just imagine what I have to take care, if just 3 of 30 want to have black instead of white lasering, or without or custom lasering. To make a custom lasering it takes about half an hour of e-mails to find out what the customers want and another half an hour to tell the laser-company what he exactly should laser on this one stem. Maybe you understand, that I would completely freak out if you have 30 individual made stems in one batch. 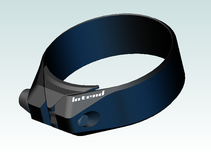 Or imagine, I have to make a special crown offset. This needs several hours of work to modify the 3d-model and about 1-2 days of work for the milling company to set up a new milling-programm for this special offset-version plus all discussions with the customer, the company and so on. Also cut the steerer of one fork is about half an hour or more, because you really have to concentrate exactly what you are doing, check it, double check, re-read the whole ordermails maybe there was a change of the exact length which I missed. It's not just taking the fork, cut the steerer - 3 minutes of work. If I cut the wrong fork out of 10 or cut the right fork wrong, I have a real problem. Or just imagine the custom name is written wrong or lasered on the wrong place on the stem ? That is why I can't do this special things for a single product. It is not because I am lazy, I just need to be careful to avoid mistakes and failures. 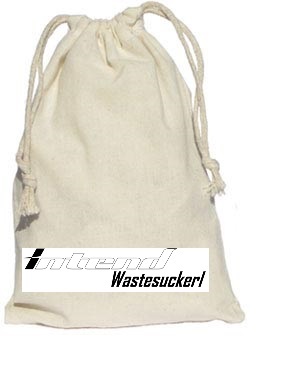 All Intend products get shipped in a packaging. Like every other product from any company. This is different with Intend products. Wherever it is possible, there is a intended use of every packaging. The small parts like Stiffmaster headset or Smarty wedge come in a small bag called "Wastesuckerl". There is lots of garbage in the woods, from you, from your friends and from any other people you don't even know. Put this bag in your backpack, take it as garbage bag. You found someone's trash ? 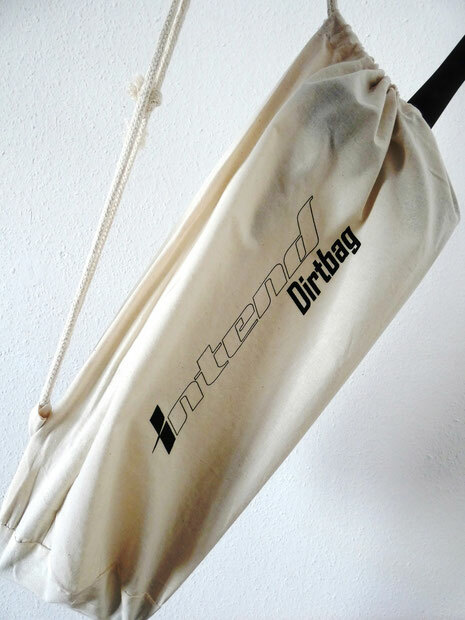 The bag is made out of cotton - if it is dirty, just wash it with your clothes and it is fresh again! It is not neccessary to protect the products with air bubble foil. I have to buy it, you have to throw it away. There is a thing everybody needs, and you have to buy it anyway. It's a dish washing sponge. It's not renewable, but there is no plastic produced twice! This is how the forks are shipped.